I’m a big fan of versatility when it comes to making new purchases lately. A top that can go from day-time casual to a night on the town is just what I mean. 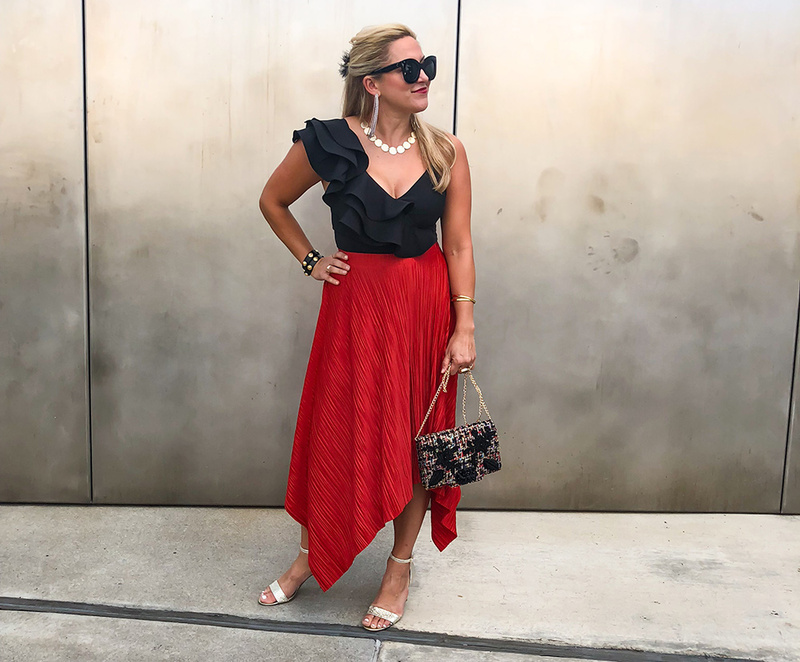 I love this smocked off the shoulder top, and thought I’d show how a simple change of shoes can take it from luncheon-chic to happy hour on a rooftop! The embroidered details along the top has a fabulous pink in it, making the accessory options endless. Taking this look from day to night is as easy as a change to these sweet navy heels.